Hiring managers and human resources staff should review interim rules issued Wednesday that implement a new law allowing agencies to share information about job applicants to streamline federal hiring. The interim rules from the Office of Personnel Management on the 2015 Competitive Service Act outline the process through which agencies can to collaborate on competitive service certificates when looking to fill a position in the same occupational series and within a similar grade level. Agencies can share job certificates as long as the vacancy announcement mentions that, and applicants agree to it. 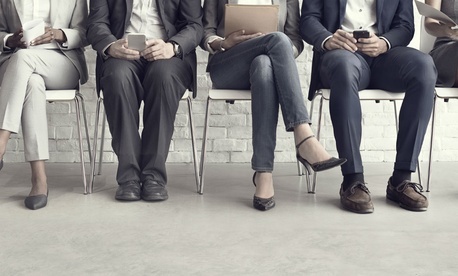 An agency that opts to use another agency’s job certificate to consider hires has to give its own employees advance notice of the job, give them 10 days to apply, and review their applications before hiring from the original agency’s certificate. If, after considering its own employees, an agency wants to make a pick from a shared certification, it must first provide selection authority to external applicants who applied to the original job announcement and are eligible for the Interagency Career Transition Assistance Program. After that, hiring is done in accordance with veterans’ preference. All agencies involved in job certificate sharing have to maintain proper records. Comments on the interim rules are due March 18. In his last few days as president, Barack Obama is trying to instill greater diversity in federal hiring as part of his legacy. Late last week, Obama directed federal agencies that oversee natural resources to make mandatory “unconscious bias” training for senior leaders and managers as part of a larger effort to promote diversity within the federal workforce. The directive is aimed specifically at the Interior Department; Forest Service; Office of the Assistant Secretary of the Army for Civil Works; and National Oceanic and Atmospheric Administration. Unconscious bias refers to stereotypes and other biases about groups of people that individuals are not consciously aware of. The bias can relate to race, ethnicity, gender, age, religion or other characteristics. The memorandum builds on Obama’s 2011 executive order directing the federal government to promote diversity and inclusion in the workforce as part of his effort to make government a model employer. In other federal hiring news, Eric Katz reported that House Oversight and Government Reform Committee Chairman Jason Chaffetz, R-Utah, sent a letter last week to 18 Cabinet-level agencies saying a looming hiring freeze, which President-elect Donald Trump has vowed to implement during his first 100 days in office, did not entitle them to bypass merit systems principles in hiring. Chaffetz has asked the agency heads to provide his panel with a list of all job openings for positions in General Schedule-13 or higher posted since the election, how many individuals applied and the date of hire. The chairman and other Republican lawmakers have expressed concern that agencies will go on a hiring binge before the anticipated freeze takes effect under Trump. Alternatively, outgoing acting OPM Director Beth Cobert recommended that the incoming administration focus on “holistic” civil service reform rather than a hiring freeze. On the firing front, OPM has issued 22-page guidance reminding federal managers that they have several tools at their disposal to discipline poor performers or employees engaged in misconduct. The guidance walks agencies through the proper steps, including notification and documentation, required for suspending, reassigning, demoting and firing employees and members of the Senior Executive Service. The probationary period is the optimal time to deal with challenging employees and “avoid long-term problems,” OPM said. It’s a mechanism that managers often underutilize. OPM counseled agencies to take preventive actions to avoid performance problems or conduct issues before they happen. Among the best practices: clearly communicating performance standards and expectations to employees; providing regular feedback; and rewarding good performance, informally and formally. An important reminder for Washington-area feds (at least most of them): You have Friday, Jan. 20 off for the Trump inauguration. For those who weren’t regularly scheduled to work that day, there won’t be any “in lieu of” holiday, according to OPM.